It is now clear that Nokia was preparing its Android smartphone for months. By all accounts, there will be a low-cost models that will replace the product line Asha. 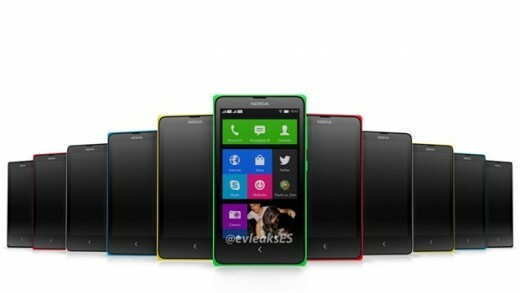 Nokia X smartphone will be the first device made by Nokia which will run the Android platform. A few days ago was discovered the look of the Nokia X smartphone and that it will be run on Android OSP (Open Source Platform). Likely it will be a device that will be produced also by Microsoft as a potentially low-cost replacement for the Series 40 platform (Asha phones). The same source as for the photos, known address Evleaks, provided insight into the final name of the product, which until now was only known by codename Normandy. Meet the Nokia X smartphone. The device has a diagonal 4 “, which will hopefully be available in multi-colored housings and interface that is reminiscent of that of the Windows Phone platform. Interior should seem Qualcomm Snapdragon S4 chip paired with 512MB of RAM, a 3MP camera and 4GB of storage space expandable with microSD cards. If we believe in fresh portions of rumors, the device should be present during the Nokia presentation in Barcelona at Mobile World Congress.